DOCTOR WHO - Nods To The Past: Series Two | Warped Factor - Words in the Key of Geek. Dan Luisi continues his look back at the many references to classic Who that are scattered throughout the new series. This time it's Series Two, David Tennant's first year as the Doctor. After encountering Queen Victoria's carriage on the Scottish moors, the Doctor introduces himself as James McCrimmon. Jamie McCrimmon, a young Scotsman from the 18th Century, was a companion to the Second Doctor appearing in all but one of his stories, from The Highlanders (1966) to The War Games (1969). Although it was the first time we saw them together, Tooth And Claw was not the first time the Doctor had met Queen Victoria, in the 1972 Third Doctor story, The Curse of Peladon, the Doctor mentioned having been in attendance at her coronation.We've also seen werewolves in Doctor Who before, back in 1988 one appeared in the Seventh Doctor adventure The Greatest Show In The Galaxy, plus silver bullets were referenced the following year in Battlefield. Bit of an obvious one, but of course it's worth including. School Reunion sees the first appearance of Sarah Jane Smith and K-9 since 1983's The Five Doctors. Sarah Jane spent time as the companion to both Jon Pertwee and Tom Baker's Doctor. K-9 first appeared in 1977 in the Fourth Doctor adventure The Invisible Enemy. 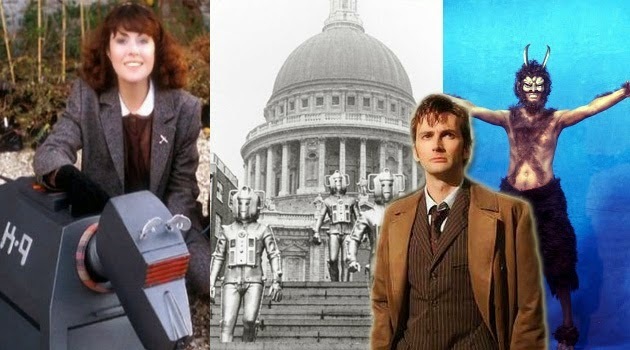 The following year in The Invasion Of Time K-9 stayed with his "Mistress" Leela on Gallifrey, the Doctor introduced K-9 Mark II. This version stayed in E-Space with Romana at the end of Warrior's Gate. Sarah-Jane first encountered K-9 (Mark III) during the spin-off episode K-9 And Company in 1981, and this is the model seen initially in School Reunion. There's a couple of nice nods to the classic 1968 Second Doctor Cybermen adventure, The Invasion, during this episode. Firstly the insertion of St Paul's Cathedral in the background, and secondly the name of the Cybus Industries front company which appears on the lorries transporting the homeless to be upgraded. 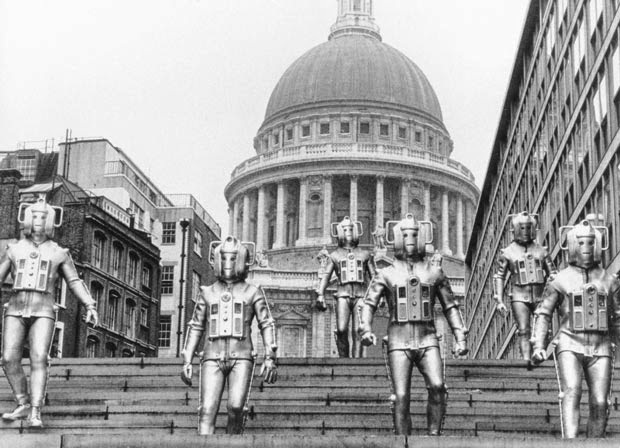 It's 'International Electromatics', the same front company the Cybermen used in 1968. "Excellent" is a phrase often used by the Cybermen in the classic series, starting with 1975's Revenge Of The Cybermen. In The Age Of Steel Lumic says "Excellent" in a little nod to their past adventures. Plus this episode also features a line that first appeared in the 1983 20th anniversary episode The Five Doctors. When the Doctor refers to attacking Cybus's factory at three points, he says "Above, between, below." The Second Doctor had spoken that as part of an ancient Gallifreyan nursery rhyme about the three possible entrances to the Tomb of Rassilon. "Who unto Rassilon's Tower will go, must choose above, between, below." In this episode the Doctor mentions that TARDIS' are grown, rather than built. In the 1989 story Battlefield, the Seventh Doctor explained to Ace that Arthur's spaceship was 'grown' and not built. Also, Gabriel Woolf, who played Sutekh in the Fourth Doctor story Pyramids of Mars, voiced the Beast in this story and The Satan Pit. 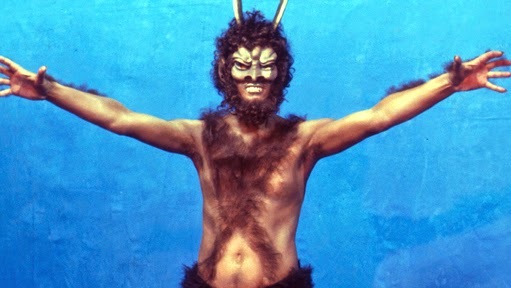 The Doctor mentions some planets whose mythologies have horned demons, and amongst them is Draconia (first seen in the 1973 Third Doctor adventure Frontier In Space) and Daemos, which is the home planet to the Daemon Azal (who the Third Doctor encountered in 1971's The Daemons). The Doctor also makes reference to the Kaled god of war. The Kaled's were first introduced in 1963's The Daleks, and again in 1975's Genesis Of The Daleks. When the Doctor refers to how his race "practically invented" black holes, this is a reference to the Eye of Harmony, the power source for the Time Lords that was created by suspending time around an exploding star in the act of becoming a black hole, and harnessing the potential energy of a collapse that would never occur. Much of this was explained in the 1976 story The Deadly Assassin. The Eye of Harmony also featured in the 1996 TV Movie where it is the power source at the heart of the TARDIS. Although this was the first time Daleks and Cybermen had appeared together as part of the major storyline, the two enemies had both been seen in The Wheel In Space, The War Games, The Mind Of Evil, Logopolis and The Five Doctors. One final nod to the past, The Cybermen breaking through plastic sheets, something I've also thought was a little strange, a plastic sheet is hardly going to stop a small child let alone a Cyberman! But it is something we'd seen many times, starting from 1967's The Tomb Of The Cybermen. That's all for Series Two, but please let me know if you think I've missed anything. Next time, rather predictably, it's Series Three.